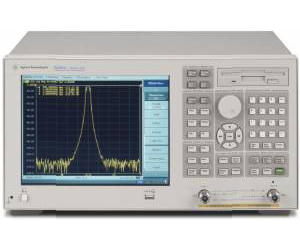 The Agilent E5062A general purpose network analyzers provide reliable basic S-parameter measurements with easy-to-use features and solid performance based on the latest in modern technologies. The Transmission/Reflection (T/R) test set options offer lower cost solutions, while the S-parameter test set options provide more accurate measurements with full two-port calibration. 75 ohm options, as well as 50 ohm, are available for CATV component measurements.